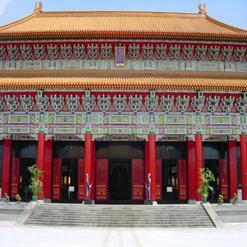 Built in a style of Beijing Palace, Grand Hotel is a famous tourist place in Taipei, attracting huge tourist masses. Established in 1952, construction of the building got completed in 1973 and it is regarded as one of the tallest Chinese classical buildings in entire world. It has been the tallest building of Taiwan since 1973 to 1981 and people visit the place for capturing the magnificent architecture form in their cameras.